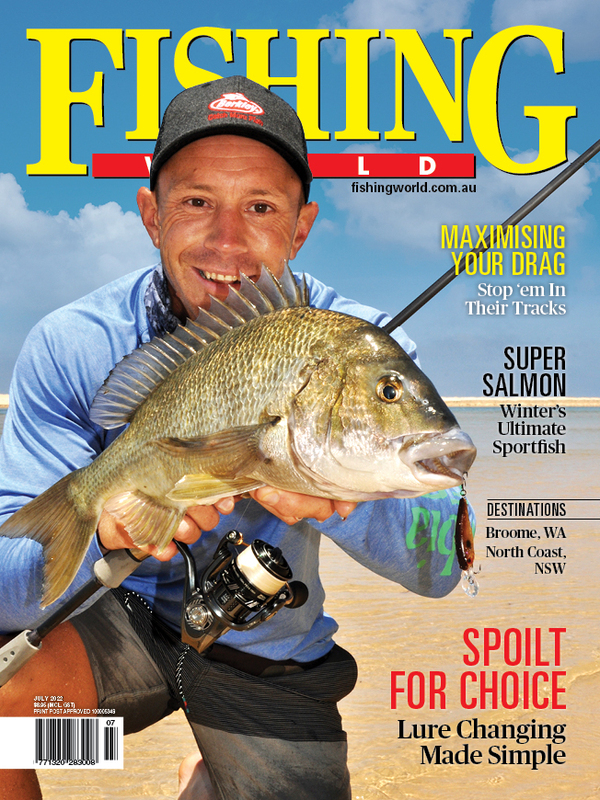 HERE are the first entries we've received for our relaunched Fishin' Chix Photo Comp. So girls, get busy and send in your fishing photos now for your chance at some cool Fisho prizes! 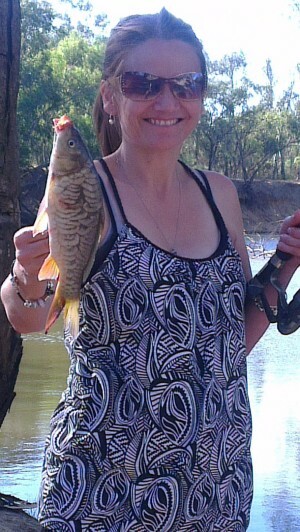 Natalie O'Sullivan doing her bit to help remove pesky carp from the Murray River, Echuca. 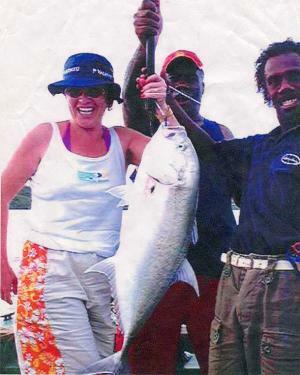 From Joe Vermuelen - First ever fish caught by my wife on holidays in Vanuatu. Caught on a surf rod threaded with a hand line, left a few bruises and cut fingers, but the smile tells it all. 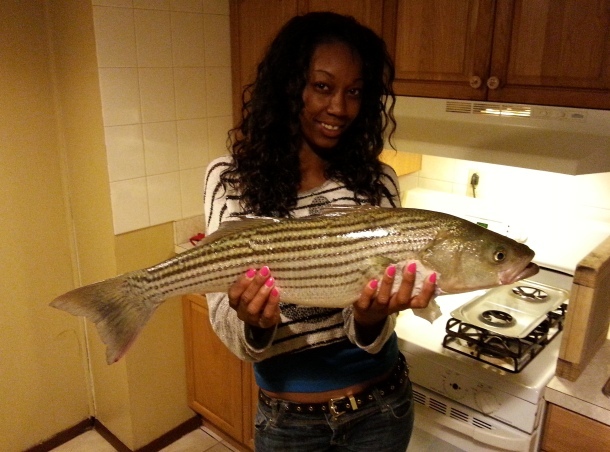 This US entry features a 29" striper bass caught by Yvette Russell @ Jones beach, NY. 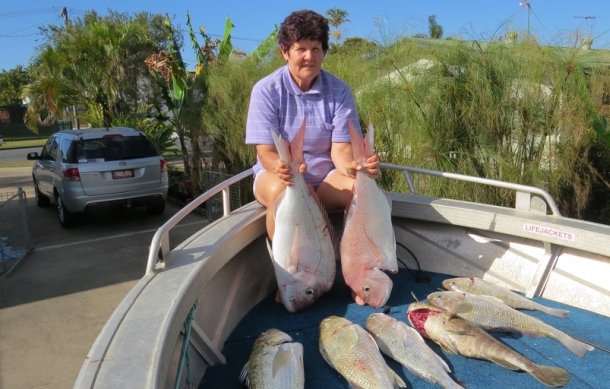 Lorraine Schafferius of Mackay, Queensland with a nice catch of snapper, grunter, etc caught on live yakkas and herring at Bailey Island.